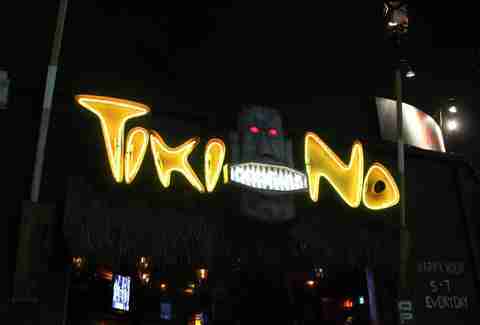 The only thing better than a Tiki-Tiki-Tiki-Tiki-Tiki room? 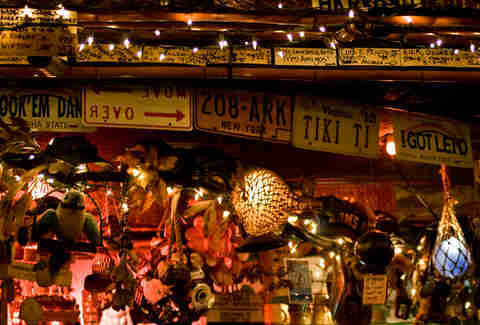 A Tiki-Tiki-Tiki-Tiki-Tiki... bar! So here's every single one of those that exists in LA. 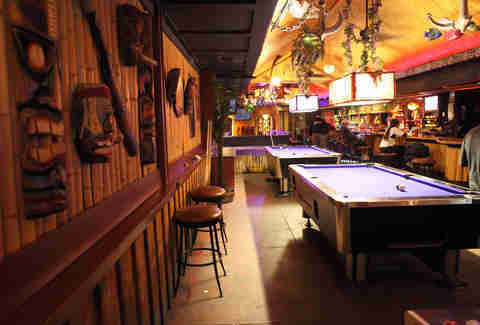 Opened in 1958, this North Hollywood bar is the oldest operating Tiki bar in Los Angeles, and is still decorated with its original Polynesian fountains. Pro tip: if Syd’s working, release the Kraken the Dole Whip -- its signature pineapple drink. Fans of this ultra-tiny, crazy-lauded, family-owned Silver Lake spot justifiably freaked out when they thought that it was closing earlier this year, but thankfully it wasn't: it's still serving up its signature rum-laden Ray’s Mistake, as well as a mess of other super-strong drinks in its kitsch-filled digs. Got an hour-plus layover at LAX? 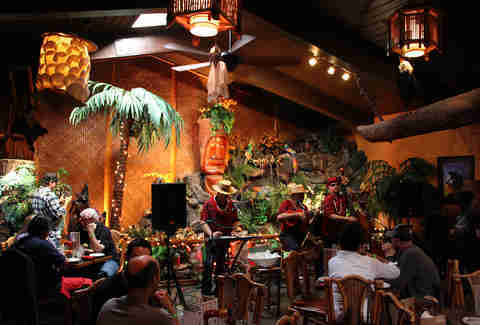 Hit this hidden-away gem, which boasts all the Tiki standbys (on-fire Volcano Bowl!) as well as surf-rock shows by local favorites like the Insect Surfers. This hidden Tiki dive from an actual Hawaiian in a strip mall in Torrance is so rarely open that if you're lucky enough to catch it on an open day, you may want to buy a lottery ticket. Once you’re in, though, you’re gonna want to get a for-two-people Scorpion Bowl -- it’s one of the best Tiki drinks in the city. 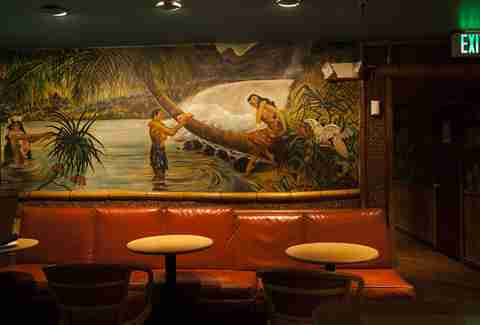 The first Don The Beachcomber, located in Hollywood, was the original Los Angeles Tiki bar and the one that begat that mid-century Tiki revolution. It closed in 1985 and what's left of that legacy is this Huntington Beach location, which opened in 2005. 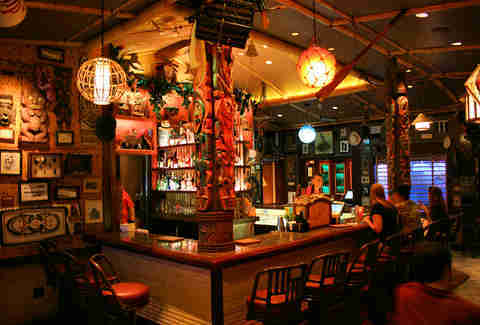 It serves all of the original drinks (some of which are served in take-home mugs) and every month hosts the International Tiki Market Place (essentially, a Tiki swap meet). Opened in Glendale in 1937, before moving to Brand Blvd in 1980, this classic steakhouse has fantastic Polynesian decor and a stand-alone bar that you can drink at without eating. 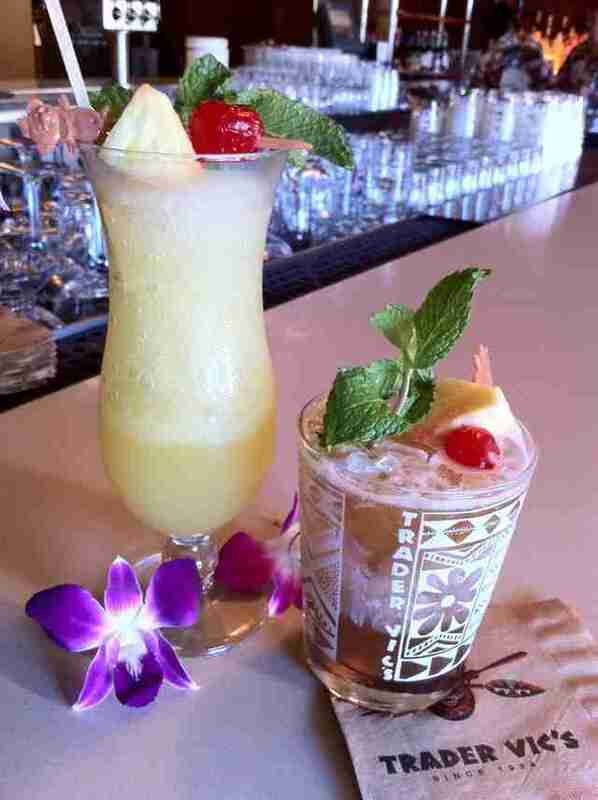 Mondays are "Mai Tai Mondays" but if you go for one drink, try its trademark Chi Chi. The five-year-old Tiki No is bedecked with vintage TVs playing Gilligan’s Island, which would be kitschy in a bad way if -- like most Tiki culture -- it weren’t kitschy in a good way. Also? 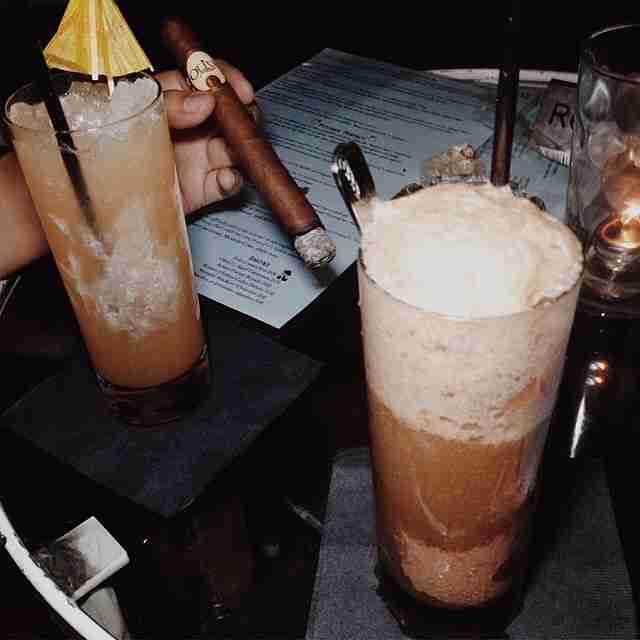 It's got a great drink called the Raging Bull -- a rare Tiki drink made with Scotch rather than rum. Okay, it’s not officially in LA, but look: at some point, you’re going to go to Disneyland, and you’re gonna want to end up at this bar, which was designed by Disney Imagineering, which means when you order certain drinks, animatronics start singing or the bartenders simulate rain. Seriously. 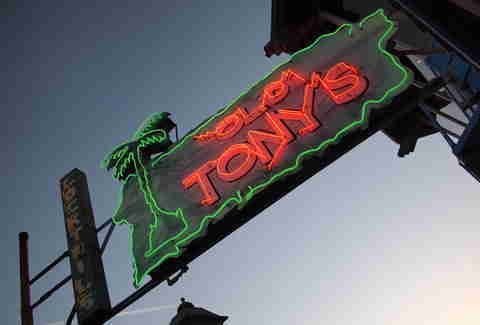 Old Tony’s tows the line between nautical theme and Tiki theme, but you won’t care while you’re sipping a Mai Tai on its upstairs deck at sunset. Promise. Another recently opened North Hollywood spot, this barstaurant boasts 15% off specials for locals on Thursday, a massive patio, and... a cave? Yup, a cave. 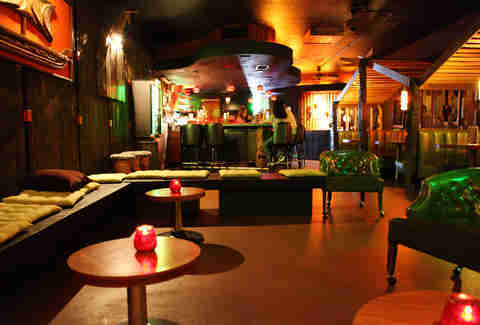 Less themed than the rest of the bars on this list, this sorta-private club (you gotta pay $20 for a membership... which lasts a year... and is often waived) makes the grade for its upscale, fresh-ingredient takes on some of the original Tiki recipes. If you go to Catalina and don’t get your Wiki Wacked at Luau Larry's, you're doing it very, very wrong. 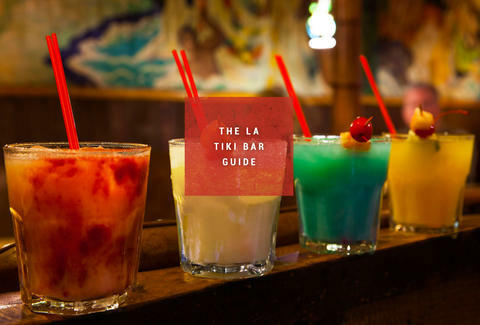 Alright, this poolside lounge may be a shell of its former self, but, hey, we’re promising you every Tiki bar in LA, and that means we couldn’t leave it off. Speaking of which: isn’t there an island’s nearby, too? Sean Johnson will always enjoy places where "all the birds sing words, and the flowers croon." Find him on Twitter and Instagram.